It seems that most of the time very simple maintenance results in huge problems being averted. Here are some ideas that are very simple to avoid paying huge bills to have someone repair it or hassle with it yourself. 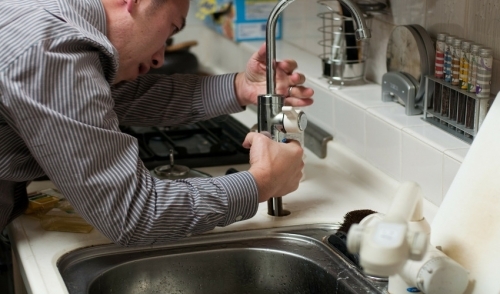 One of a homeowner’s worst nightmares is having their pipes burst. If you are living in an older home with old pipes, this has a high probability of happening to you, especially when the pipes are vulnerable in the winter. A very simple solution to avert this problem when it gets cold outside is to put your faucets at a slow trickle. This will alleviate a lot of pressure on your pipes and make a burst much less likely. I take it back. The homeowner’s worst nightmare is their septic tank backing up. Besides the recommendation of having it pumped every 3-5 years, your septic tank will need periodic care. A product such as Rid-X can save you a lot of problems by naturally breaking down the waste.